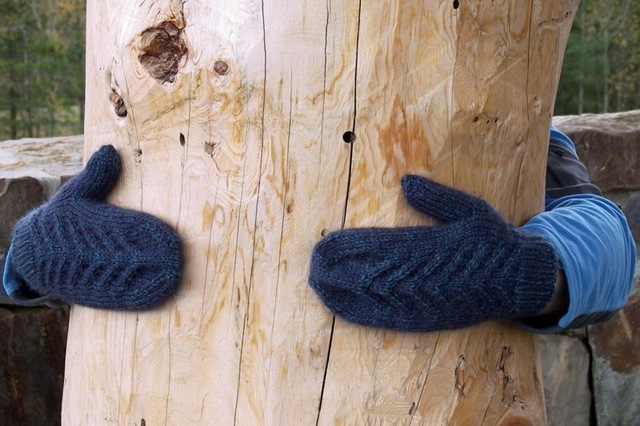 love the mitts… will definitely make a pair of these! I have just started these and I am a new knitter and this is only my second time using dpns (first on a project that starts on dpns) … I can not believe how awesome this pattern is for a newbie like me. Thanks! I don’t understand the directions for the addition of the scrap yarn at the end of the double parentheses. 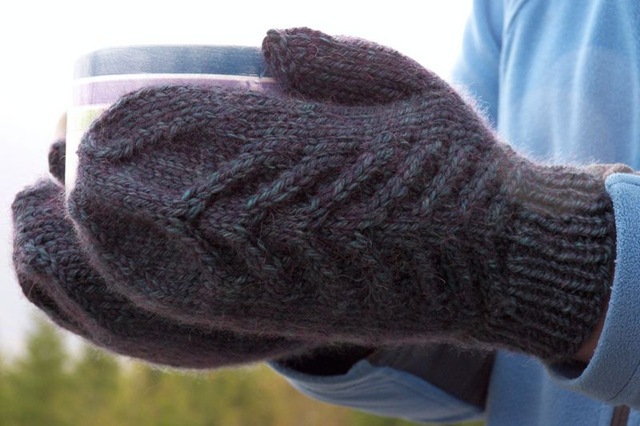 Is this done at the end of round after the mitten measures 2.25″ from cuff? How long is the scrap yarn? Are the 4 sts part of the 38 stitches in the round? I see that those stitches are then put on the left needle and knitted again. 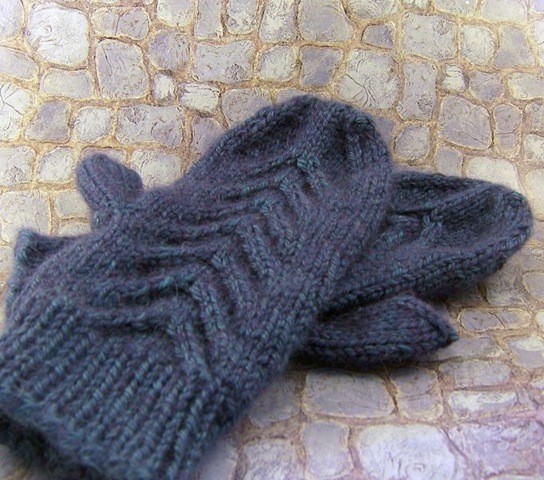 As I continue knitting the mitten, do I continue knitting these 4 stitches? Later in the instructions for the thumb, I am to remove the scrap yarn from the thumb stitches and place live stitches on 2 needles.